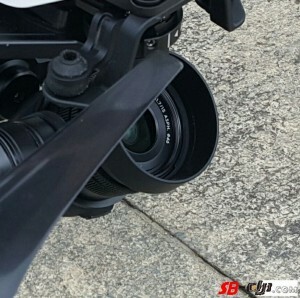 Photos have leaked from SB-DJI.com which show the DJI Zenmuse X5 camera gimbal, which is Micro Four Thirds (MFT) flying on the Inspire. As DJI themselves are a Micro Four Thirds system member, it was always expected that they would make their own camera eventually, the only reason you become a member is to manufacturer your own cameras, otherwise you’re reliant on third parties. There’s no debate on the camera being MFT, as it’s evident from the markings that the lens is a Panasonic 15mm f1.7 Leica Summilux DG ASPH Micro Four Thirds. This lens is what’s known as a prime lens, this means it does not zoom, but it does have a number of important qualities for aerial filming, for MFT cameras you want a fairly wide angle, between 12-20mm, this lens at 15mm is ideal, meanwhile F1.7 is fast, meaning low light performance will be very good. In evenings and cloudy days this lens, combined with the larger MFT sensor size will provide video and stills far exceeding the quality of the existing Inspire Zenmuse X3 gimbal. The leaked photos show this lens on the camera. 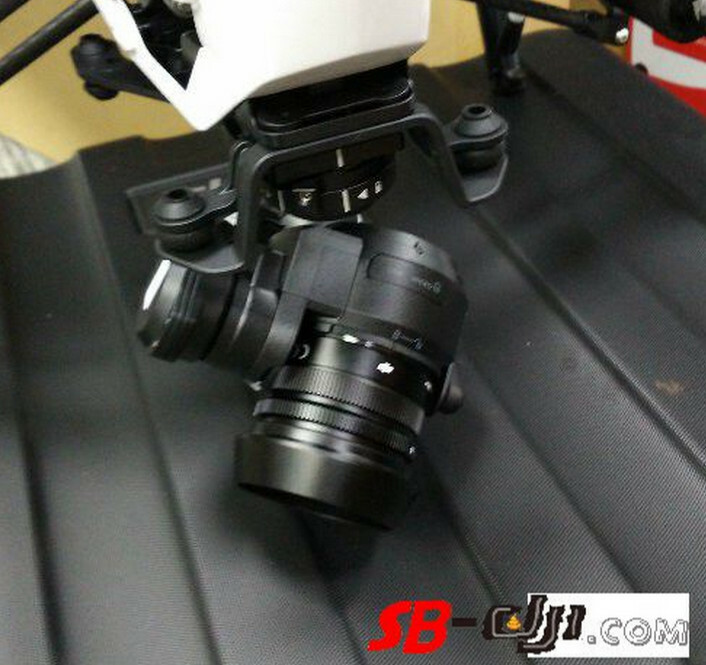 This is the X5 from DJI’s Chinese website. This is the X5 on the Inspire with the Panasonic 15mm f1.7, with photos from the SB-DJI.com website.